A few days ago I did Avocado Toast with poached eggs, as I have a lot of avocados left I had to continue on the theme and make this delicious breakfast toast, an Avocado Toast with Tomatoes and Basil. So delicious and so easy to make! I just mashed to avocados, a bit of salt, pepper, olive oil and mix around. Top with tomatoes, basil and sesame seeds and some extra salt and pepper. Takes a few min only but it’s so delicious and also you’ll get a toast that look very good. 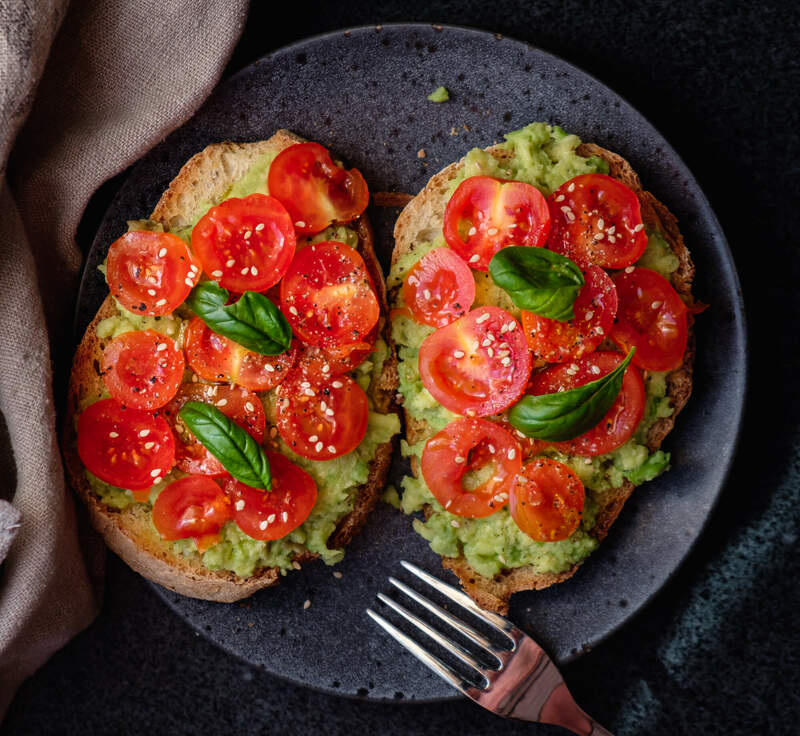 Summary: Avocado Toast with Tomatoes and Basil is a colorful toast that both taste delicious and look beautiful with all these colors. Very easy to make but a lot of taste! Cut the avocado along the middle and twist so it divides into 2 slices. Remove the peel with a spoon and mash it in a bowl. Add some pepper, salt and some olive oil and mix. Toast your bred, spread the mashed avocado, cut the tomatoes and top with basil, sesame seeds and salt and pepper. Drizzle some olive oil and serve!